PBM Fishing is a Custom Reel Parts & Rod Building Components Supplier. We are always glad to serve you. If you are interesting to become our outside - US Dealer, please see our Dealer Program for more details. 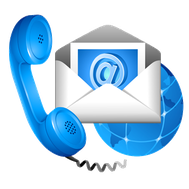 To better service your needs in a timely manner, please contact us via the “Contact Form” below. You may also email or call us direct. info@pbmfishing.com - for any General Queries. support@pbmfishing.com - for Product Support and RMA assistance. order@pbmfishing.com - for Payment & Order assistance. Business Hours of PBM Fishing - Monday to Saturday - from 9:00 am to 5:00 pm (Pacific Time).